• Pistachios are delicious tree nuts recognized for their wholesome nutrition properties. Together with walnuts, almonds, and cashew, they offer good sources of protein, fats, and minerals to inhabitants living around otherwise dry and arid regions of Central, West and South Asia. • Pistachios are a rich source of energy; 100 g of kernels carry 557 calories. 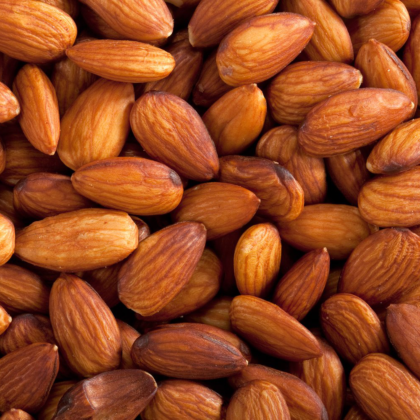 Additionally, they compose good amounts of mono-unsaturated fatty acids like oleic acid and antioxidants. Regular consumption of pistachios in the diet may help lowering total as well as bad LDL cholesterol and increase good HDL cholesterol levels in the blood. Research studies suggest that Mediterranean diet which is rich in dietary-fiber, mono-unsaturated fatty acids, and antioxidants can help reduce coronary artery disease and stroke risk by favoring healthy blood lipid profile. • Pista kernels are a rich source of many anti-oxidant phytochemical substances such as carotenes, vitamin E, and polyphenolic antioxidant compounds. • Pistachios are excellent sources of vitamin-E; especially rich in gamma-tocopherol; compose about 23 g per100 g. vitamin E is a powerful lipid-soluble antioxidant essential for maintaining the integrity of cell membranes of mucosa and skin. In addition, vitamin E to works as scavengers of harmful Free oxygen radicals. • The nuts are packed with many important B-complex groups of vitamins such as riboflavin, niacin, thiamin, pantothenic acid, vitamin B-6, and folates. • They are the storehouse of minerals like copper, manganese, potassium, calcium, iron, magnesium, zinc, and selenium. 100 g nuts provide 144% of daily recommended levels of copper. Copper is an essential trace mineral that is required in neurotransmission, metabolism, as well as red blood cell (RBC) production. • Pistachio oil extracted from kernels is one of the healthiest cooking oils. It has a pleasant nutty aroma and possesses excellent emollient properties. It helps keep skin well protected from dryness. Besides being used in cooking, it is also employed as “carrier or base oil” in traditional medicines in massage therapy, aromatherapy, in the pharmaceutical, and in the cosmetic industry. • Just a hand full of pistachios a day provides enough recommended levels of phenolic anti-oxidants, minerals, vitamins, and protein.